Embedded design is at the core of SIANA's expertise. We have completed multiple projects in various industries involving system design / analysis, PCB design, and firmware development for 8 / 16 / 32 bit micro-controllers. We strive taking a proof-of-concept to production. An ST Authorized Partner, SIANA has acquired an extensive expertise with the ST ecosystem. Over the years, we have built a close & productive relationship with ST's US & European teams. We can help you integrate ST's extensive portfolio including STM32, MEMS, HMI, and wireless. 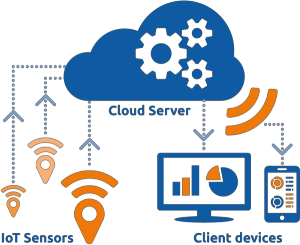 When designing connected / IoT devices, SIANA can close the loop with mobile app development and/or cloud integration under one "roof." We provide cross-platform mobile development and Cloud / IoT integration for your Bluetooth & WiFi devices. 1. Production Design: for SIANA, a production design often starts with a referral working alongside ST's FAEs. Depending on your needs, we can take on the full design and provide the technical bridge with ST per your requirements. Or, we can come in to augment your in-house team and provide specialized ST-based expertise. In either case, we will work closely with ST to select the best-fit solution. As we advance through the design cycle, we periodically leverage ST's in-depth expertise to help us refine the design and overcome any technical issue. SIANA is proud to announce that we have teamed up with the ST Microcontroller Division Machine Learning Group. 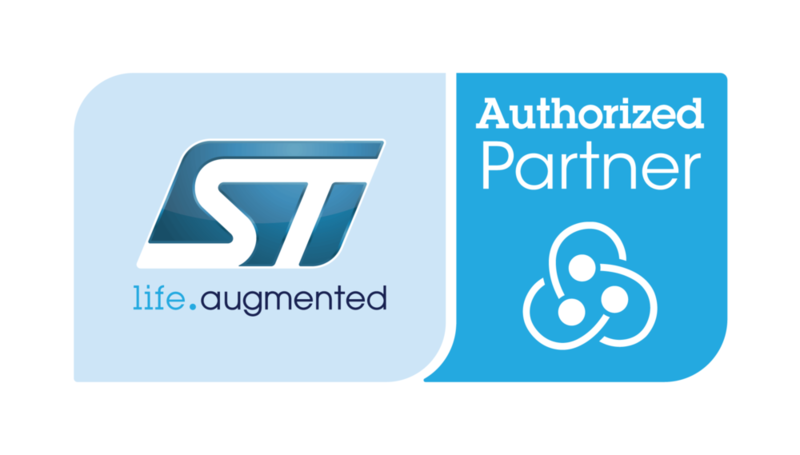 We are working in close collaboration with ST's Deep-Learning experts to bring AI on STM32 cores!!! SIANA Systems has been developing embedded solutions for nearly 10 years in various industries from building automation, to medical, to consumer electronics. Over the years, we have acquired a broad set of skills that enables us to quickly evaluate and turn proof-of-concepts into production-grade solutions. With decades of combined experience, we consider firmware design & implementation our core expertise! From memory-constrained 8-bit MCUs to 32-bit Cortex-M / A, we are passionate about developing production-grade code. As a team, we keep up with the latest technologies and invest in industry-standard tools which result in a development process that consistently produces lean and portable code that will not block your product roadmap. If you can dream it (or spec it), we can code it! 1. Proof-of-Concept: We excel at quick-turn of low-to-medium complexity systems required to evaluate a custom algorithm and/or third-party IP. 2. System Design: as an Arrow ACES partner, we work closely with Arrow, and silicon vendors, to make it a priority to select the right components that will fit your design budget, and production timeline & targets. 3. Fast Prototyping: as fervent users of the Altium Designer toolchain, we can quickly produce schematics & PCB/A designs that easily export to your, or our, preferred CMs for quick turn-around. 4. EVT / PVT Design: working with your selected manufacturing partner, we are used to taking prototypes through the mandatory manufacturing-readiness process and rigorous compliance requirements. 5. Functional Test Fixture design: we can assist manufacturing with custom test / commissioning firmware and/or designing & building full functional test fixtures. define an IoT strategy and navigate the complex cloud provider offerings to select & implement the best solution. integrate a new device to an existing and/or custom IoT service. For industrial-grade and/or highly scalable & hybrid solutions, we often turn to Amazon Web Services. The 800lb gorilla, AWS offer the most complete portfolio of cloud services. SIANA is experienced with integrating the AWS IoT layer on embedded devices, including secure provisioning, and integration with analytics and client applications. For fast time-to-market and/or consumer-electronics devices, we often recommend using the Samsung Artik cloud. SIANA is experienced with developing cross platforms (iOS / Android) mobile applications for connected & IoT devices. Our goal is to streamline the design cycle by bringing in UX/UI + embedded + mobile development under a same team. We will not only help you apply best-practices at the UX/UI level, but we will also provide you with proven and fast time-to-market implementations to the typical challenges facing connected / IoT devices, such as: secure provisioning / onboarding and remote firmware upgrade.